Click on the logo to start shopping! Click on the Logo and start shopping! 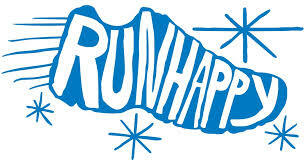 Our runners and members receive a 15% discount on merchandise purchased at Running Warehouse on-line store. Please contact us to receive the discount code and other instructions, then click on the logo to SHOP! "Compression socks are specifically designed to not only give you an edge, but to help you perform better all around. Our socks can be worn before, during and after a workout as the benefits of compression help expedite muscle recovery through enhanced vascular flow in your lower extremities." TEAM members receive a 40% discount! CONTACT US for code! "The Stick provides relief for muscle pain and soreness, improves muscle strength, increases endurance and accelerates recovery time."